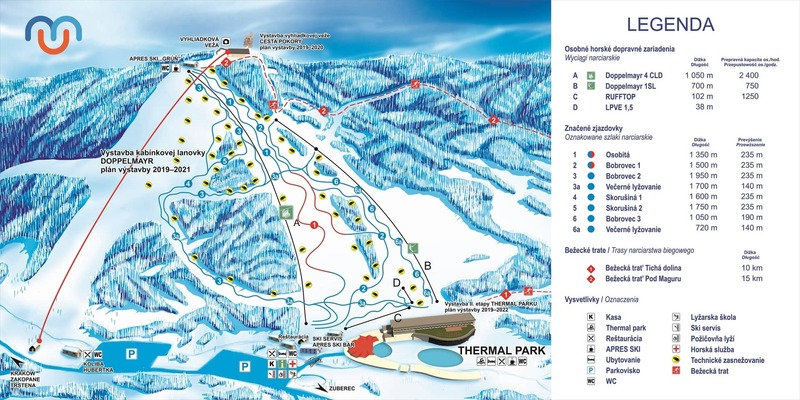 The Meander ski park is located in the mountain village of Oravice in the foothills of the Western Tatras, not far from the Slovak-Polish border. The park contains more than 7 km of pistes. The lower station of the chairlift is only 50 m away from the entrance to our aquapark. Visitors can combine skiing and relaxation in our thermal spa for very good prices. 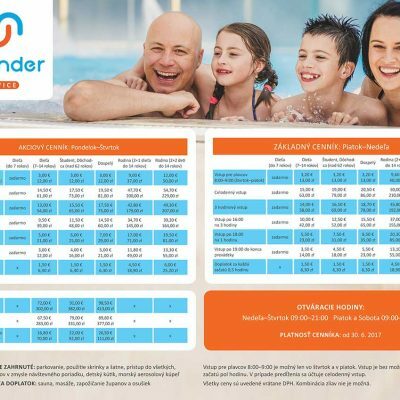 Come to Oravice for a ski break with the whole family. We offer both a more demanding red piste and other pistes for less experienced skiers. 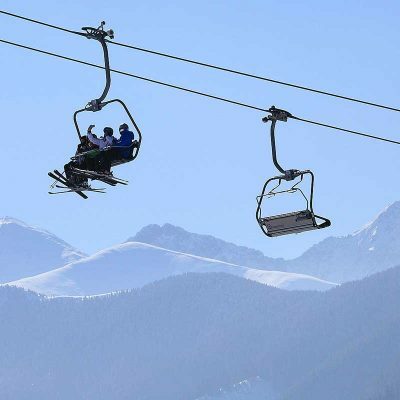 Ski to your heart’s content on our more than 7 km of pistes and make the most of our four-seater chairlift, with a capacity of 2,400 persons an hour, and our surface lift. 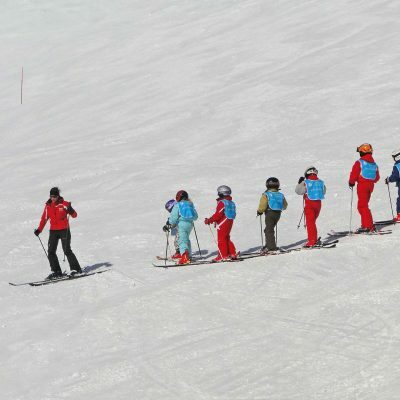 In our ski park there’s something for the smallest visitors, too, who can take their first steps in skiing with our ski conveyor belt and instructors from our skiing school. 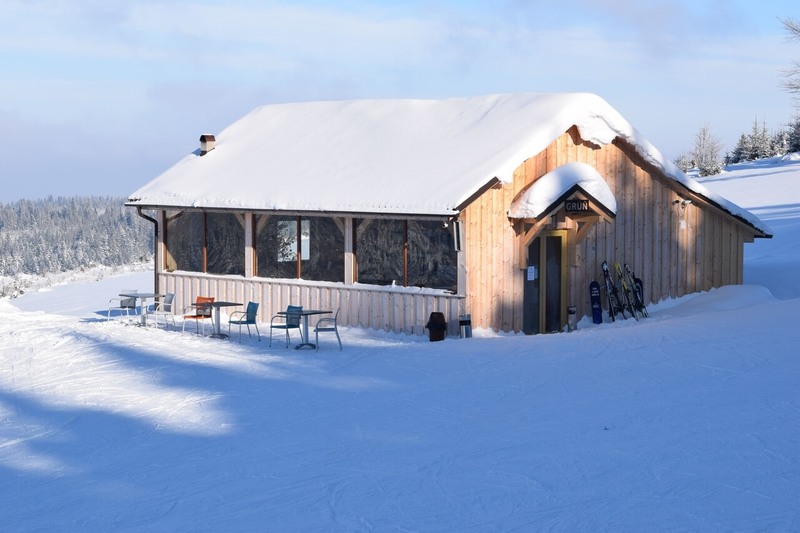 If you get a bit peckish or thirsty when you’re on the piste, take your pick from the wide range of food and beverages at our buffet, Après ski bar and restaurant. Don’t forget to take the opportunity to combine skiing with relaxation in our thermal aquapark. 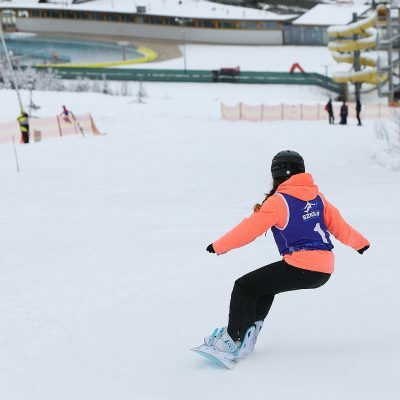 Skiers receive reduced entry to the aquapark. 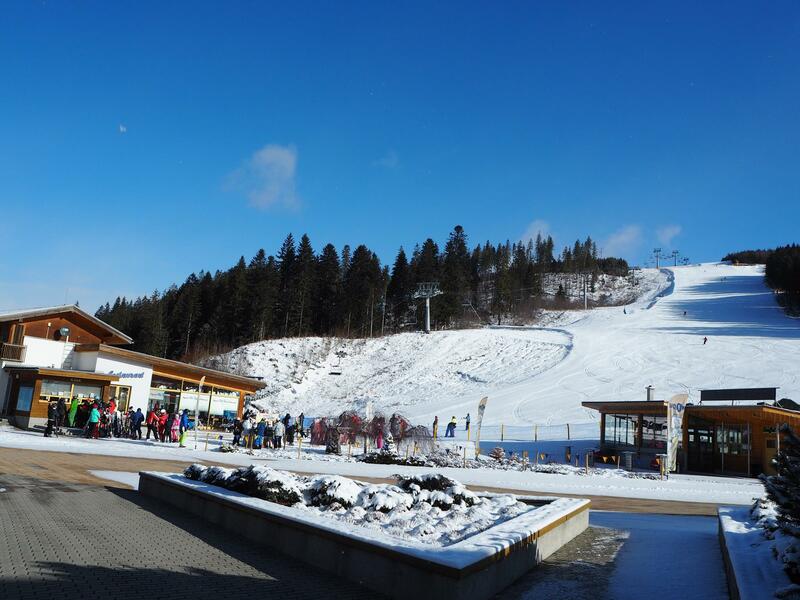 We also offer an all-day package, with unlimited access to the ski and aquapark areas.